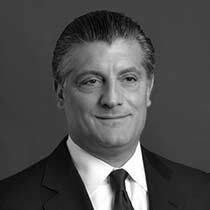 Tom Sorrentino is a Partner of the Firm with more than 30 years of experience in public accounting. He services not-for-profit organizations (including membership associations, social service organizations and foundations), public and privately held commercial entities, and real estate entities (including cooperative housing corporations and condominium associations). Tom has served as a member of the Not-for-Profit Committee of the PKF North America Network, as well as on the Firm’s Accounting and Auditing Committee. Tom is involved in organizing the Firm’s annual Cooperative Housing and Condominium Symposium, while actively volunteering his time to a variety of charitable and civic activities and organizations.